Every small business owner knows the importance of making a good impression. That’s why so many spend a lot of time branding their website’s URL. They know that whether they’re shaking hands with colleagues at a networking event, handing out business cards, or posting on social media, presentation counts. And yet, creating a branded email address oftentimes falls through the cracks. Unfortunately, overlooking this seemingly minor detail can cost you. Just imagine how differently your impression is of someone whose email address is jenny4eva@aol.com versus Jennifer.Morris@MorrisConsulting.com. While it may seem unfair, minor details like a branded email address can make the difference between getting new referrals and struggling to make connections. 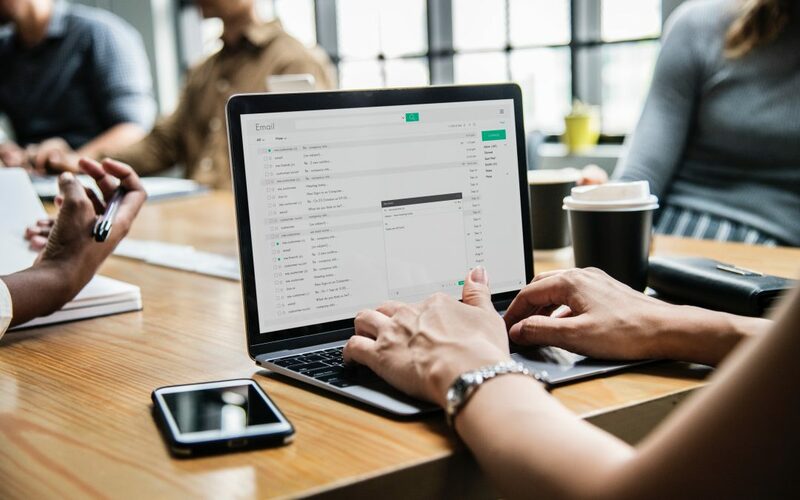 Here are the top six reasons why your business needs a branded email address, as well as some tips for getting started. You know you’re running a legitimate business. However, people who’ve never done business with you may wonder. Free email accounts are everywhere, and they’re frequently used by scammers who are trying to make a quick buck. In the business world, credibility is important. A branded email address simply makes your business look more trustworthy. By its very nature, a branded email address spreads the word about your business website. Each time customers and colleagues see it—whether it’s in your email signature, on a business card, or at the bottom of a flyer—they are also seeing your URL. If you’re like most small businesses, you’re eager to advertise on a budget. This method is completely free. Having separate personal and business email accounts is helpful in numerous ways. For starters, an email address that matches your website demonstrates to customers that you’re running an established business—you’re not just dabbling. You’re a professional who takes what you do seriously. Plus, it helps keep things organized by providing a single place to keep all of your business contact and correspondence. If you spend time on social media, connect to colleagues in industry forums, comment on blogs, or add your business to a directory site, you’ll inevitably provide your email address. Having a branded email demonstrates that you care about your company’s image and how people perceive it. It’s one more way to boost your brand’s professionalism. When a customer receives an email from you in their inbox, what do they see? If a recipient doesn’t recognize your email address, they’re going to have a difficult time connecting your name to your business. As a result, they’re likely to ignore, or even block, your email because they think it’s coming from a stranger. Today many businesses block emails from free email accounts in an effort to filter legitimate customers and prospects from everyone else. So if you’re still emailing from an address that ends with @gmail—or another free email provider—your messages are at a much greater risk of being marked as spam. While a free account may save you a few bucks a month, it may cost you thousands in lost sales. One of the biggest reasons that small businesses avoid setting up a branded email address is because they think it’ll be difficult or expensive. Luckily, it’s a pretty simple. And, depending on how you choose to set it up, it can cost as little as $5 per month. Do you already have a domain name for your website? Or, are you shopping for a potential domain registrar? If so, you can choose a package that includes email hosting. If you choose this option, you’ll set up a branded email address with your registrar’s tools. When you want to access your email, you’ll simply log into the webmail service. If you find the webmail service too clunky, you can later decide to have your email forwarded to your personal email address. However, you’ll need to do a little research and backend tweaking to make this process seamless. It will vary according to your email client. Otherwise, your personal email address will show up in your replies. Instead of using your domain registrar, you can also choose to use a hosted service like Gmail. Since most people have a Gmail account already, it can be a quicker way to get up and running with branded email. Plus, it’s easy switch between several Gmail accounts to check multiple inboxes. Costs are reasonable, too, starting at $5 per month.